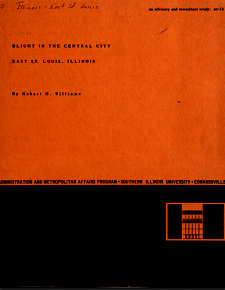 This report was created by Hubert O. Williams in October of 1967 with the purpose of identifying blight conditions and the location of possible federal funding for the City of East St. Louis and the citizens of the Central City Neighborhood. This was created as part of an Advisory and Consultant Study conducted by the Public Administration and Metropolitan Affairs Program at Southern Illinois University Edwardsville. 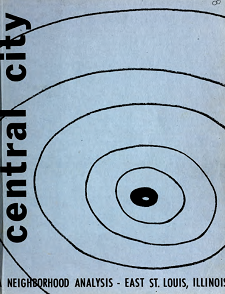 Written by Robert E. Mendelson and David C. Ranney in June of 1967, this report was created for the purpose of providing planning options for the City of East St. Louis and the citizens of the Central City Neighborhood. The report was created as part of an Advisory and Consultant Study conducted by the Public Administration and Metropolitan Affairs Program at Southern Illinois University Edwardsville. 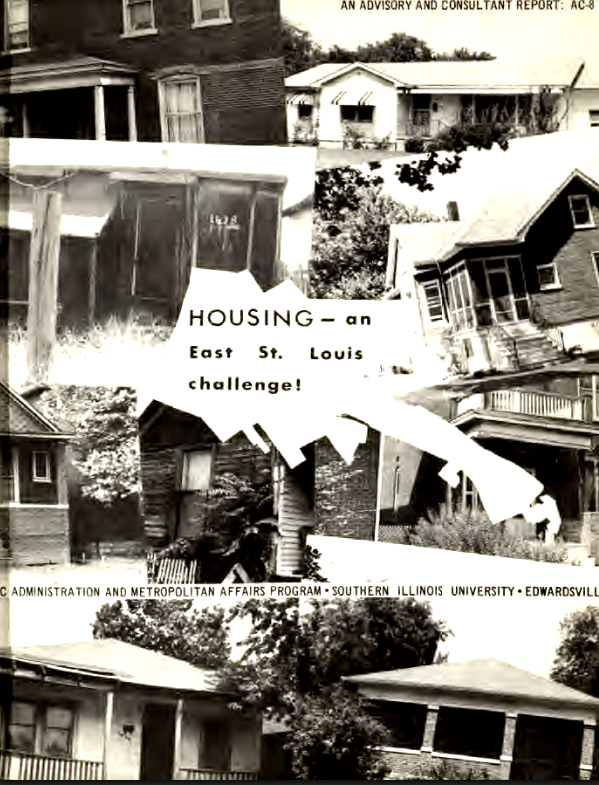 Prepared in 1966 by the Southern Illinois University Edwardsville Public Administration and Metropolitan Affairs Program for the City of East St. Louis, this report provides an analysis of the public housing issues in East. St. Louis at the time. The report addresses a variety of housing-related challenges and provides examples of both federally and non-federally funded housing initiatives. 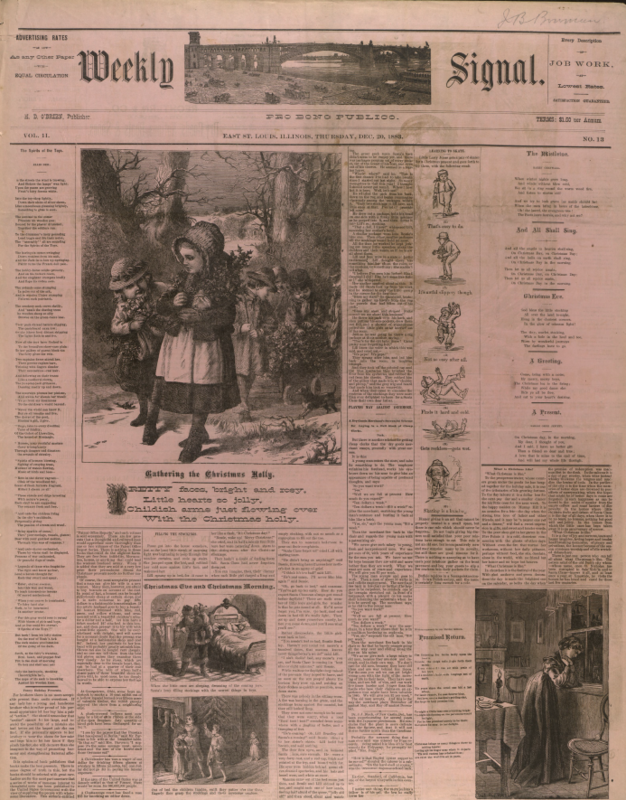 The East St. Louis Gazette was a weekly paper by publisher John Bowman, that became an advocate for the "high-grade" movement. 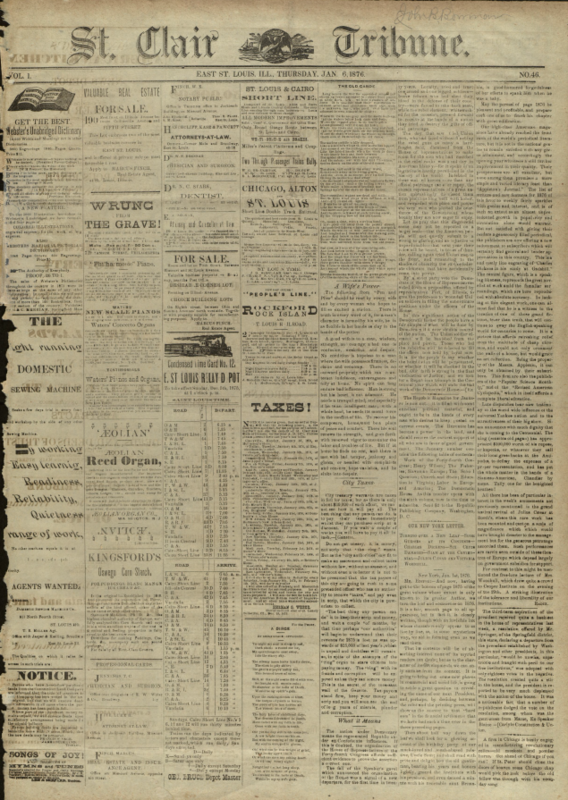 Bowman hired James W. Kirk as editor of the Gazette - Kirk later bought the paper, established it as the Daily Journal, and was a muckraker in the early 19th century. The Journal was later purchased by Mr. Spivey, who built the city's only skyscraper (bearing his name) next to the Journal office building. Selections from the East St, louis Weekly Signal. 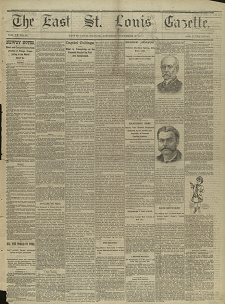 The East St. Louis Weekly Signal was the "low grade" movement"s newspaper that disappeared after the "high grade" victories of 1887. City Directories are a very rich primary resource because they offer a glimpse of the past and inform the reader of the conditions of a city. Directories are a communication tool as they list everything and everyone within the city's limits. However, publishers are limited on the information they provide. Most times they list only the head-of-household and do not offer a number to indicate how many people live in the one household. Even with these limitations, the directory still offers an indication of what resources are available to help visitors and newly arrived/relocated individuals to determine whether the city is compatible with their needs. Digital scans are available of these rare books through the Bowman Archive. 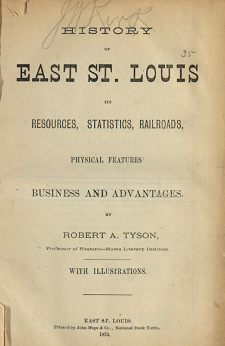 As early as 1875, authors began publishing histories of East St. Louis. These writings were focused on the white settlers that helped to develop the city and were focused on the political and economic giants that resided and created the city. These books were designed to show who had the power within the city and to caste them in a positive/ paternal light. From these early histories, Robert A. Tyson's book offers the best historically researched account; relying on private interviews and historical records to create his description. 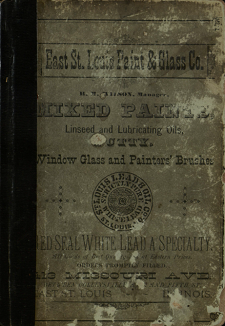 This section contains a variety of historical documents and reports detailing East St. Louis and the city's associated urban issues. Documents have been scanned and organized into PDF files for digital distribution. Click on the "Download PDF" text or the PDF icon to view the PDF. To save the file to your computer, you may need to right click the link and select "save link as..."